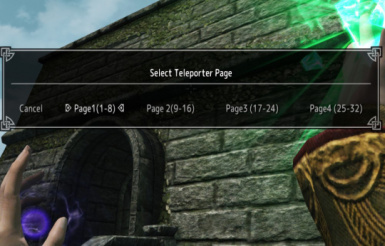 Add magic to install a teleporter that can install up to 32, and magic to teleport to those teleporters. Fixed that 17th teleporter was not working properly. You can reset the name on the MCM screen. Changed to be able to name your teleporter. 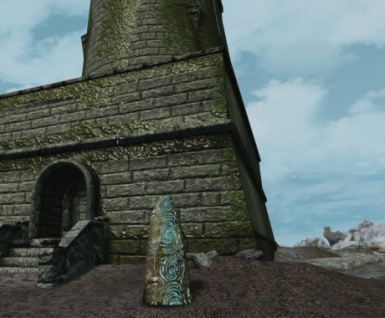 You will learn magic by using two spell books obtained after installation. 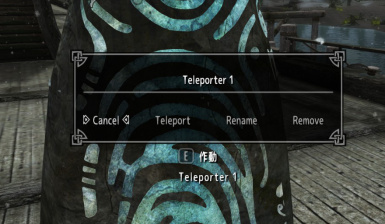 You can now name your teleporter with Ver.1.1. 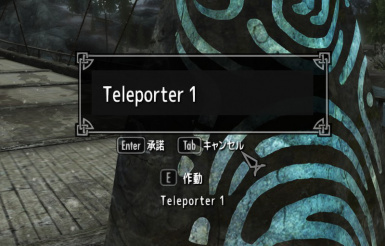 As of Ver.1.20, it is now possible to confirm the teleporter name and reset the name with the MCM. Install a teleporter at the current position. Please select which teleporter to install. In the case of a teleporter already installed, it will move to the current position. 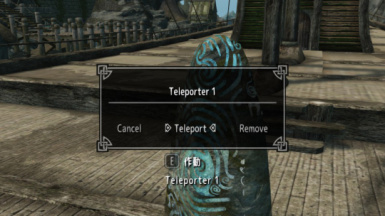 Activate installed teleporter, you can teleport to other teleporter, change name, remove it. I will teleport to the position of the teleporter already installed. 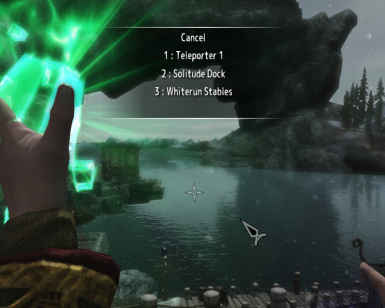 After using magic, please select which teleporter to teleport.